My eight year old son, Adam was recently in tears as he lost a $20 bill that his grandmother had sent him for his birthday. As a result, I have been searching for options that make it easier for him to learn about the value of money while keeping it safe. Our solution is the OneVanilla prepaid Visa debit card which can be used anywhere that accepts Visa. This is a great way to teach Adam about responsibility while managing his money because I can add money to the card in increments from $20-$500. Each week instead of giving Adam cash for his allowance, I can add $20 bi-weekly to his OneVanilla prepaid debit card. 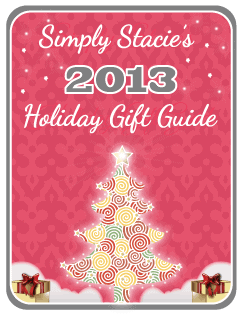 When he receives checks or cash from loved ones at Christmas or on his birthday, I can also add that to his card too. I have given him a blank notebook so he can keep a running tally of his balance and know exactly how much he has available. The OneVanilla prepaid card is made a leading provider of prepaid cards, InComm and would be a great gift idea for tweens or teens instead of cash. I like that even though it can be used in the same way as a Visa credit card it is NOT a credit card so I don’t have to worry about Adam overspending more than is on the card and there are no interest fees accruing. 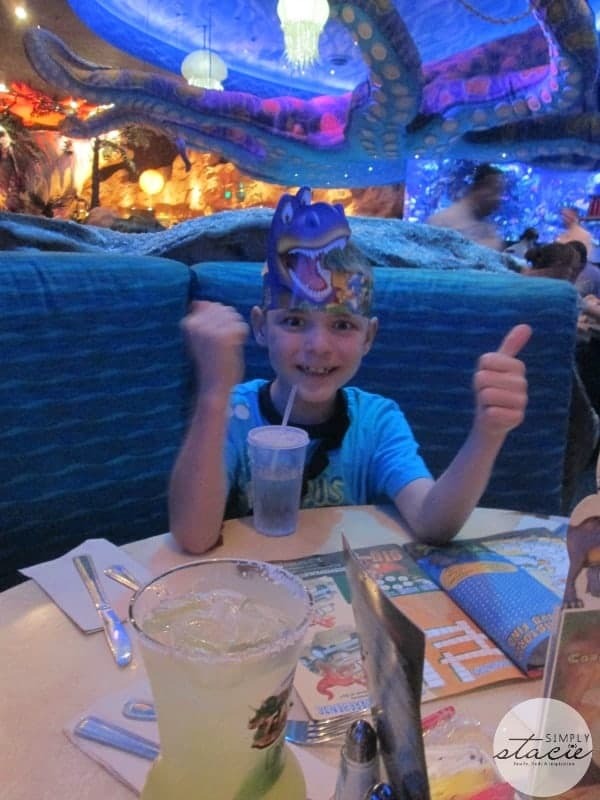 Adam recently practiced using the OneVanilla card during a recent trip to Disney World and Downtown Disney. He had a set amount of $100 to use on our trip and while I guided him and supervised due to his younger age, he was in charge of the decision making process on how to use the card. At the Lego store, he chose to make a small purchase under $10 and was so proud of himself for being able to use the card himself. While shopping, Adam had his eye on a Lego Technic toy but after checking the balance listed in his notebook he realized that he did not have enough to purchase it and decided that he would save up for it to purchase later when he had saved enough money. Later that afternoon, he decided that he wanted to treat the family to lunch at the T-Rex Café which was our next stop. After deducting the amounts for both purchases, he still has $40 left on his OneVanilla pre-paid debit card which he decided to save for a future need. OneVanilla prepaid debit cards would be an excellent gift idea this holiday season and is available for purchase at major retailers including 7-Eleven stores, CVS Pharmacy, Hess, Rite Aid, Office Depot and more. 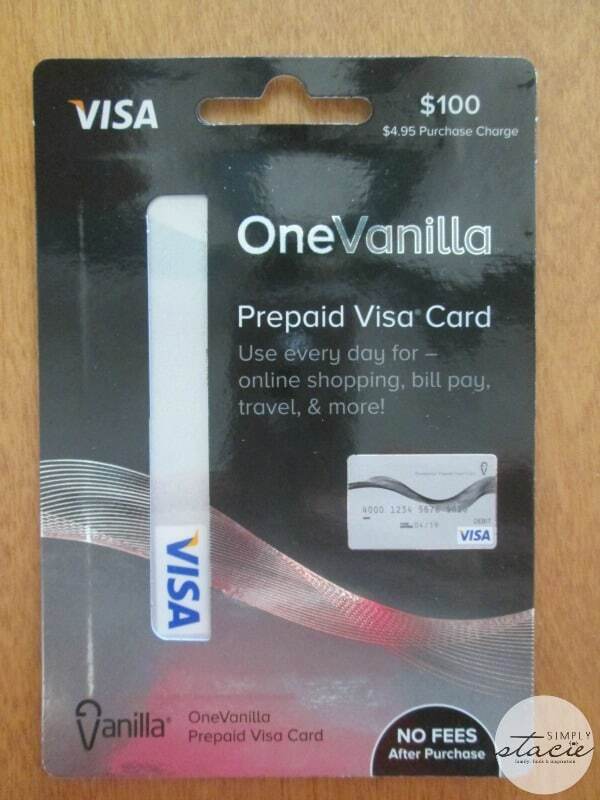 You can visit the OneVanilla website to learn more about the advantages of using a prepaid debit card, get helpful tips for using your card and check out featured Vanilla products. That’s a fantastic idea for issuing allowances! I was speaking with the people we had the chat about the angry birds cards and they are working towards being able to keep them the way they are and help develop your credit rating! This is a great christmas idea. Thank you! That’s really cool! Sorry the poor kid lost his special from grandma 20. I have used Vanilla as well, very convenient. i use these cards to try and stay within my own budget every month….they really help me to stay within my limits, thank you!